A pop culture phenomenon is coming to the musical stage! If you are looking for an energetic, colorful, fun stage musical, this is it! “Peppermint Twist The Musical” will be an uplifting, irresistible, electrifying theatre production and much more. The stage musical will include an exhilarating, heart-stirring “plot” with a story and with real characters and elements of drama, dancing, acting, singing, comedy, and nostalgia, etc. We are going to bring back The “Twist Dance” to familiar audiences and also introduce it to a new generation that is very hungry for fun dance moves, good times, that everyone can enjoy, young and old. Millennials will discover the magic of the infectious Twist Dance throughout the full-length musical stage production. The Twist Dance Craze of Yesteryear will be reborn and become a worldwide sensation again. It will take us on a nostalgic journey through one of the most eventful and fantastic eras of our time. 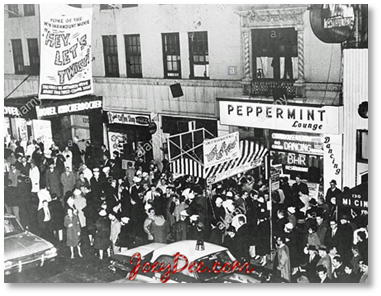 It will center around the incredible career of the living legend of Joey Dee & The Starliters, The Peppermint Twist® World-Wide Dance phenomena, The legendary World Famous Peppermint Lounge® night club. And of course The Mob, it’s activity and obsession to control and make money. It will be an inspiring true story behind the extraordinary era that changed minds, touched lives, made history and transformed America. Peppermint Twist The Musical will be the ultimate feel-good fun show that will resonate with audiences by coming back again and again to relive the fond memories of their youth. 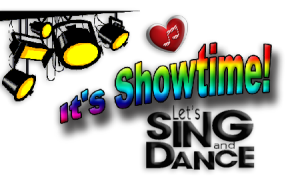 The audience will happily get transported back in time when singing and dancing was incredibly popular internationally with all ages. There is absolutely no doubt that Peppermint Twist The Musical will be a very crowd-pleasing live stage musical that will hit the big jackpot. This story, in our professional judgment, has the potential to be a huge hit on Broadway, on tour and globally. Peppermint Twist The Musical has the profitable worldwide huge potential to be another Jersey Boys. It will be a social event that will attract theater goers non-stop. The audience will fall in love with the soundtrack of their youth and experience each performance that echo’s back to the time period of these iconic hits and dances. 70 million USA seniors is a major tangible advantage and just part of the very large potential audience. We strongly believe that the show will connect with the audience in an emotionally powerful way. We also believe the live stage musical will deservedly get standing ovations from the captivated audience members. Peppermint Twist The Musical will appeal to a very large core audience by telling stories people can’t help but come out to see and share their unforgettable fun experience with friends and family and much more. For sure it will be an audience very eager to buy theater tickets.